The fourth Boeing 787-8 Dreamliner was delivered to the fleet of the Uzbekistan Airways national airline on April 13. 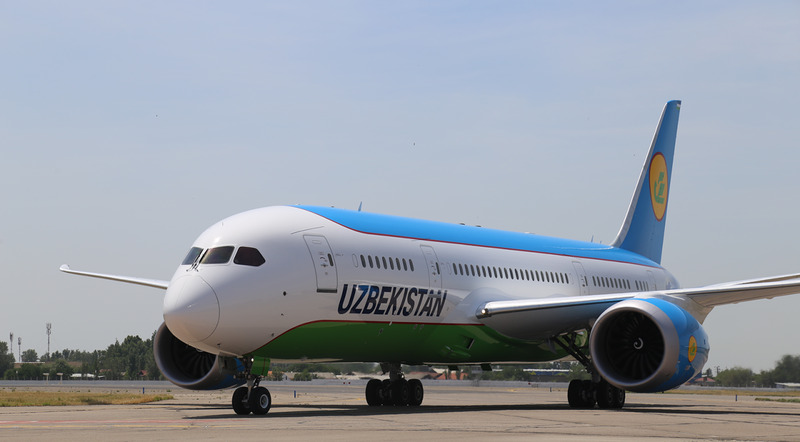 The aircraft was acquired as part of an investment project to upgrade and expand the fleet of Uzbekistan Airways with modern aviation technology to ensure competitiveness and safety of flights. The airliner is designed to carry 246 passengers: 24 in business class and 222 in economy class. The fourth Dreamliner, as well as the three previous ones, is equipped with General Electric Aviation's GEnx-1B engines, providing low noise levels, minimal carbon dioxide emissions to the atmosphere and better fuel efficiency. Uzbekistan Airways plans to have six airliners of this type in its fleet in 2020 and to become the leading operator of this aircraft in the CIS. The new aircraft will be able to fly from the cities of Uzbekistan to the airports in the U.S., the Far East and Asia. The air carrier, which operates 30 Western-made aircraft, plans to increase the passenger traffic from 3 million in 2018 to 3.3 million people by 2021. The airline operates flights to more than 20 cities in Europe, North America, the Middle East, Asia, 24 cities in the CIS countries and 10 destinations on local airlines. Boeing 787-8 Dreamliner is one of the most modern aircraft in the world. The airliner that combines the latest technical solutions allows flying longer distances. In light of the use of latest technologies aircraft has many advantages in operation, economical in fuel consumption and has a comfortable environment for passengers. This airliner is different from other aircraft in its technical and operational parameters. It weighs less than comparable airplanes. Despite this, the flight range and load capacity is even more than for comparable airliners, though it consumes 20 percent less fuel. Aircraft has resources to perform 15-hour non-stop flight covering distance up to 15,700 km. These indicators make Dreamliner a leader among modern passenger aircraft.